For the first time in 57 years, the Boston Bruins and the Detroit Red Wings will meet in a playoff series. Of course, things were a little less complicated five decades ago in the NHL, and when the Wings moved to the Campbell Conference back in 1981, any chance of meeting the Wings in the postseason would need to be done in the Stanley Cup Final. With realignment occurring last summer, the Red Wings were granted their wish and placed in the East and into the newly created Atlantic Division, which now sports four of the Original Six clubs. each other, and the Wings had come out on top twice. The aggregate score read 10-7 in favor with of Detroit, with the November 27 6-1 beatdown of the Black and Gold proving to be a heavy influence on the scoreline. That game may just have been the Bruins' worst this season, as the Wings scored six unanswered goals to go up 6-0 before a Jarome Iginla goal broke up the shutout with just three minutes remaining. That game solidified the reality of Hockeytown's presence in the newly created Atlantic Division: the Red Wings, with all of their talent, history, experience, quality and excellence, were not going away. And so we come to April. 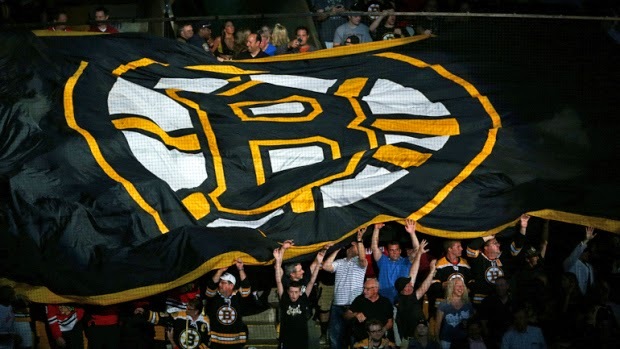 On Friday, the Bruins will begin their march to Lord Stanley versus those same Red Wings. Right off the bat, the Bruins' road to the title will be met with fierce resistance in the form of the most accomplished hockey club in the past 20-years. 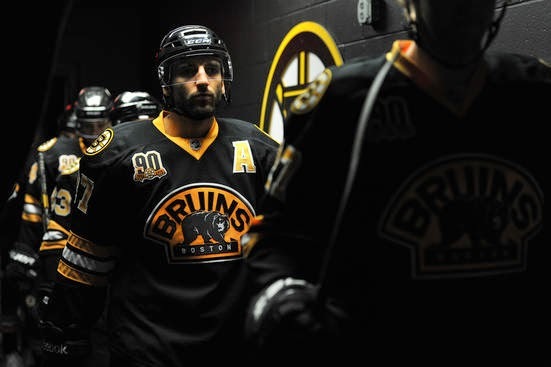 For the Bruins, everything begins and ends with their three most important players: center Patrice Bergeron, defenseman and captain Zdeno Chara, and goalie Tuukka Rask. All three players had fantastic seasons, and all three players are in the discussion to take home some personal hardware when the NHL awards are handed out. The Bruins were once again this season a defensive team first, but don't let that fool you into thinking they lack an offensive punch. Boston scored 261 goals this season, second in the NHL behind only the Anaheim Ducks with 263. The Bruins were just one of seven teams with five 20-goal scorers, with David Krejci just on the outside looking in with 19. And for the Red Wings, their season has been defined by balancing the blend of both veteran and young talents, and by the perseverance through a rash of injuries that decimated their roster. The likes of Pavel Datsuyk, Henrik Zetterberg, Stephen Weiss, Johan Franzen, Daniel Cleary and newly-signed Daniel Alfredsson all battled injury problems through the year. In their place, the Wings saw the rise of talents such as University of Maine product Gustav Nyquist, Tomas Tartar, Joakim Andersson, Tomas Jurco, Justin Abdelkader, and Riley Sheahan steady the ship and stay in playoff contention as the season wore on. 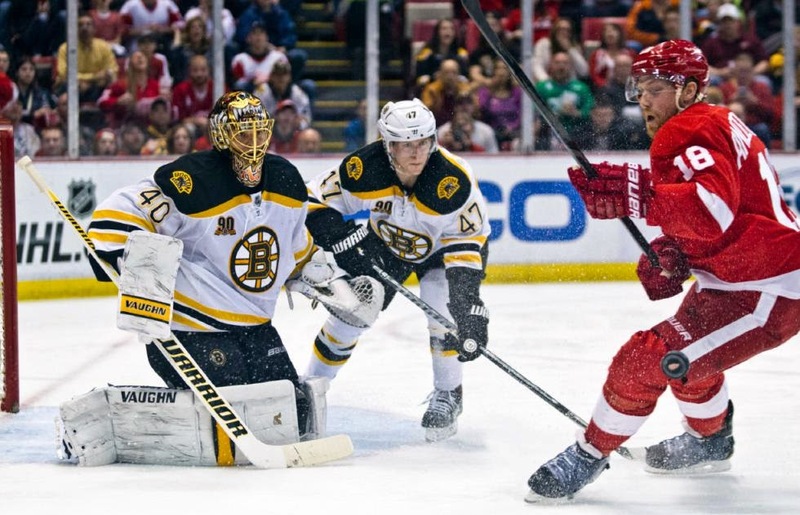 ...the defense and Tuukka Rask can contain the Red Wings' scoring talent. The Bruins' defensive depth will be put to the test in this series, as the corps will have to deal with the likes Pavel Datsyuk and Gustav Nyquist bearing down on them constantly. Datsyuk has missed significant time in the second half of the year, playing in just 11 games since January 1st, as he's dealt with a lower-body injury. Nyquist, who's scored 23 goals since January 1st, saved the Red Wings' season by providing the goal-scoring they needed with Datsyuk and captain Henrik Zetterberg were dealing with their injuries. The defensive unit will be without the services of Dennis Seidenberg or Adam McQuaid, both of whom have plenty of playoff experience. As we've found out recently, the return of Seidenberg is much more unlikely than fans are willing to admit, as is the return of McQuaid. The young defense in the form of Matt Bartkowski, Torey Krug, Doug Hamilton and Kevan Miller will have to tighten the screws in their own zone and eliminate scoring chances before they can present themselves for the Wings. Goalie Tuukka Rask struggled versus the Wings this season, as he played in all four games versus the Red Wings, going 1-3-0 with a .871 SV% and a 3.29 GAA. Those numbers are obviously inflated by the 6-1 drubbing the Wings dropped on the B's back in late November, but that doesn't mean we can chalk that game up as an aberration. The Wings have the talent and the experience to score goals in the playoffs. It'll be up to Rask and the defense to keep them off the scoreboard. ...the offense produces and the defense holds. Gustav Nyquist and Pavel Datsyuk will have to put the puck in the net if the Wings have any shot at winning this series. It seems that Detroit's other high-powered point producer Henrik Zetterberg will not be back in time to play the Bruins. After skipping practice on Wednesday, Zetterberg reiterated that, although his rehab is going well after undergoing back surgery on Feb. 21, he still isn't likely to play unless the Wings make the second round. But as we've seen, Mike Babcock has coached the Wings through the loss of their captain and perennial All-Pro through the second-half of the year and into the postseason. The other skaters on the Wings, led by Nyquist, have stepped up their game and provided the points that are missing without Zetterberg. The defense will also find itself under heavy pressure from the Bruins, as Boston's four-line, wave mentality can be the undoing of the Wings in this series. Half of the Wings' defensive core in Brendan Smith, Danny DeKeyser, and Brain Lashoff are all under the age of 25, and all have less than 120 games of NHL experience. If Detroit has any hope of winning this series, they have to do their best to withstand the constant barrage of hits, shots and speed from the Bruins. Easier said than done with a depleted roster. The Seventh Player for the Bruins has struggled in the second-half of the year after netting 18 goals through the first months of the season, as he has just two since February. Marchand also experienced scoring droughts of his own through the year, but none as drastic as Smith's were. If Smith and Marchand can rediscover their scoring touch for the playoffs, and use their speed as skaters, coupled with the scoring-streak Patrice Bergeron has put himself in, the Bruins will be in great shape to come out on the winning side of things. The 30-year old goalie has played in 42 career playoff games, posting a 20-22 record with a 2.57 GAA, two shutouts and a .918 SV%. This season, Howard has dealt with injuries and inconsistency, posting a 21-19-11 record with a 2.66 GAA and a .910 SV%. The dip in his numbers may have a lot to do with the numerous injuries the Wings have dealt with on the blueline, but in the playoffs there is no excuses for coming up short in net. Howard had one of his best games of his season vs the Bruins back on April 2, making 33 saves on 35 shots faced. If Howard can stand on his head and bail out his team for their lack of depth, then the Wings have a shot of stealing a game or two through his play alone. But the Bruins are not resting their players like they were that night and they are not dealing with injuries the way the Red Wings are now. As the B's continue to pound the Wings shift after shift, the depth will eventually win out. The Wings will put up a serious fight because that's who they are and that's what Hockeytown does. But in the end, it'll be the Bruins who come out on top.